eleThe best cartoons of the day, chosen by editors at ThePrint. 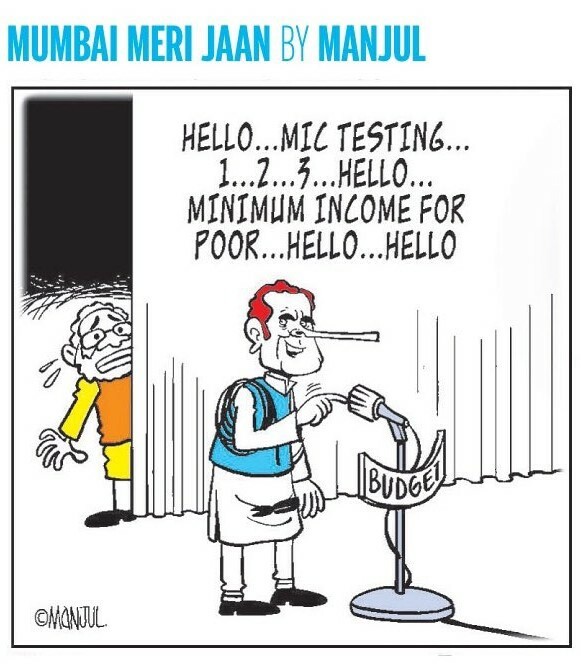 Gokul Gopalakrishnan for The Asian Age shows interim Finance Minister Piyush Goyal preparing the Union Budget 2019, with an eye on Rahul Gandhi’s promise of minimum income for the poor. 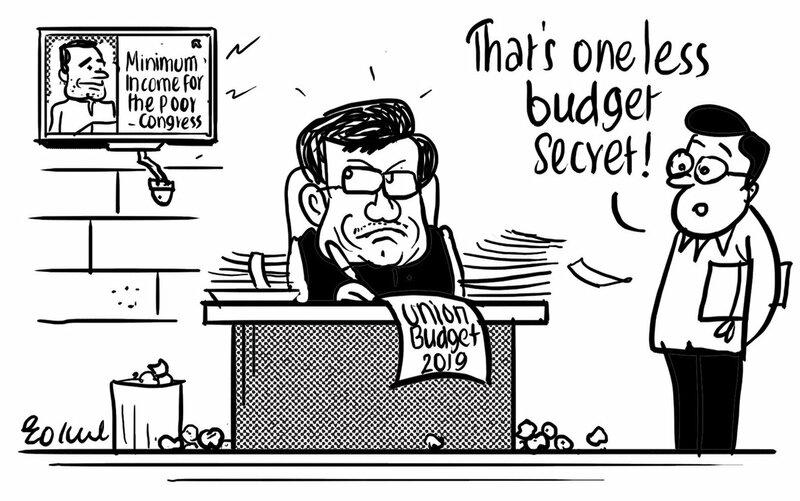 The cartoonist feels Goyal will try to announce a sop to match it in the Budget, which means one less secret. Manjul for Firstpost also features Gandhi’s minimum income promise. He depicts Gandhi fixing up the microphone before the Budget announcement to deliver his own sop, which is making Prime Minister Narendra Modi nervous. 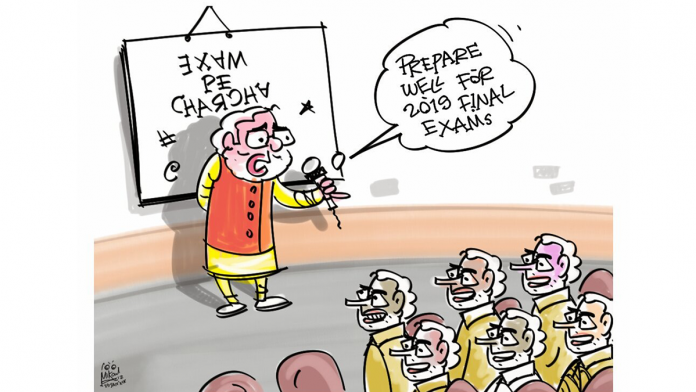 Mika Aziz refers to Prime Minister Narendra Modi’s recent ‘Exam pe Charcha‘ event with students, implying that his own preparations for the ‘final exam’, i.e. the Lok Sabha elections, are not going as well as he would’ve liked. 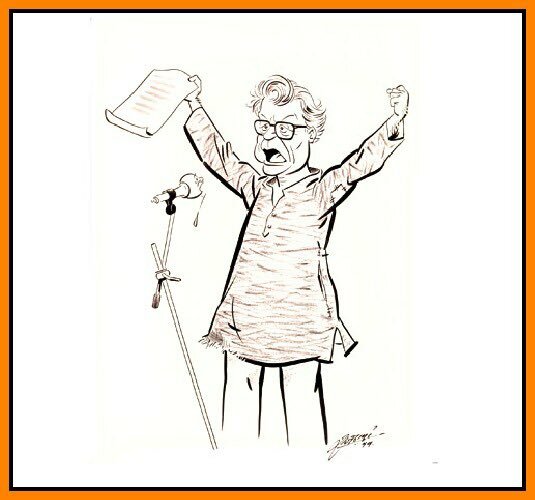 Maharashtra Navnirman Sena chief Raj Thackeray pays homage to former defence minister George Fernandes, who passed away at the age of 88 on 29 January. 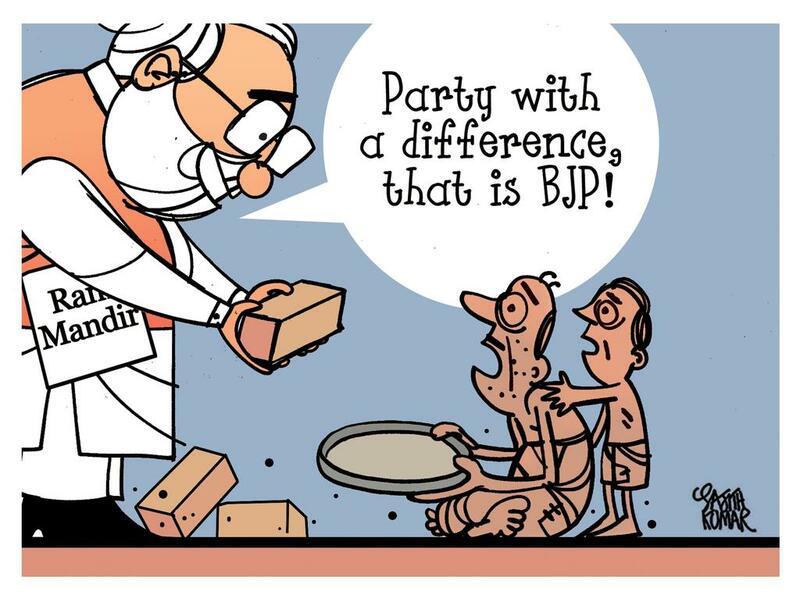 Sajith Kumar for Deccan Herald takes a jibe at Narendra Modi’s old claims that the BJP is a party with a difference. It shows PM Modi serving Ram Temple bricks to India’s starving poor. 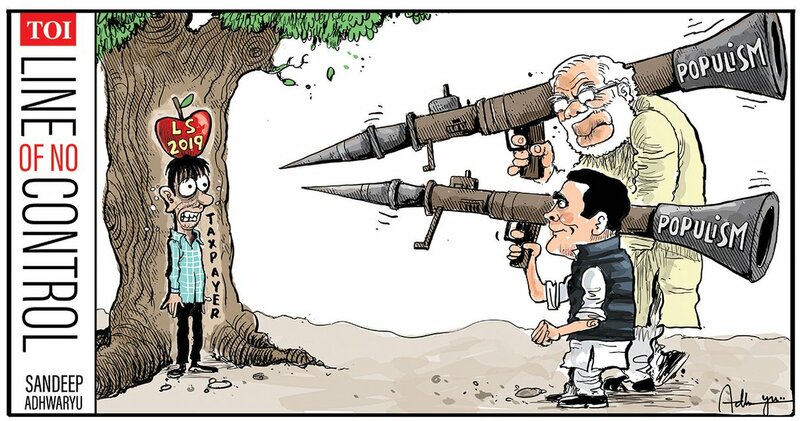 Sandeep Adhwaryu for The Times of India suggests that both PM Modi and Rahul Gandhi are using the big gun of populism to maximise their Lok Sabha returns, but eventually, the taxpayer is the one bearing the brunt. 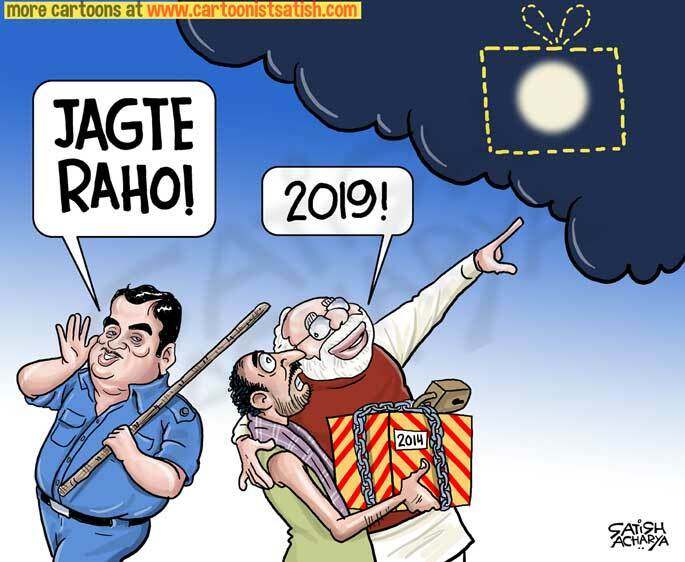 Satish Acharya spins road transport and highways minister Nitin Gadkari’s comments into a jibe at PM Modi. 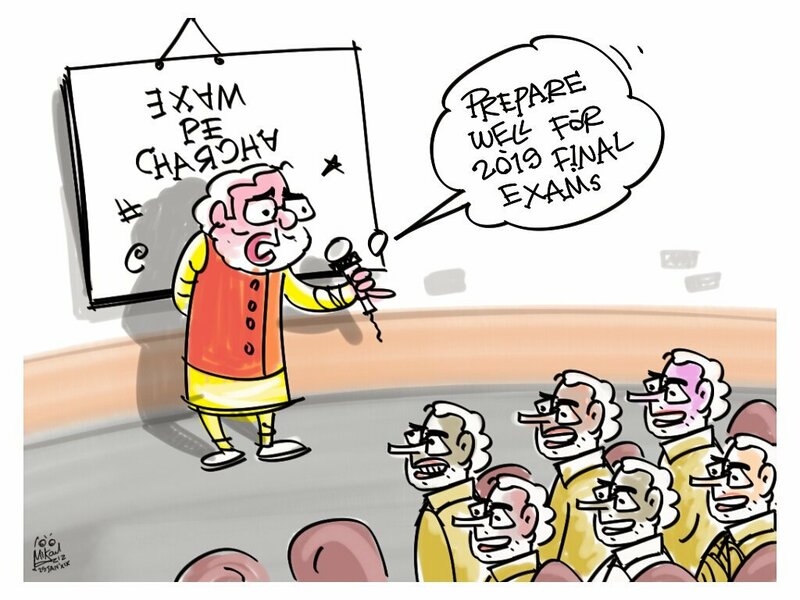 Gadkari had said the public thrashes those who don’t keep their promises, so Acharya depicts him raising a ‘stay awake’ cry like a security guard while Modi repackages his 2014 promises and promises the moon to the common Indian in 2019.